A. Martini & Co. has been awarded a contract to build City Works, located at 2 PPG, adjacent to Poros, for Bottleneck Management Restaurant Group. City Works, a 300-seat restaurant, slated to open in early 2017, will feature an “extremely robust beverage program with Pennsylvania brands representing 20-25% of the menu.” The restaurant will occupy 10,500sf of space in the lobby of 2 PPG Place, as well as an outdoor patio. The architect on this project is Dacre & Younguist. A. Martini & Co. was selected by Chef Derek Stevens for the construction of his latest project for downtown Pittsburgh – Union Standard. Mr. Stevens, who has been executive chef at Eleven for 10 years, said he has been looking for a spot Downtown to open a restaurant for the past year. When he came across the Union Trust space, it was “too perfect” to pass up. “It’s a fantastic property. I’m amazed how many people are talking about that building, how cool it is. I couldn’t be happier to be part of it,” Mr. Stevens said. With approximately 170 seats in more than 7,000sf of space, Union Standard will occupy the ground floor and mezzanine at William Penn Place and Oliver Avenue. The restaurant will offer a somewhat casual atmosphere with a blend of classic and contemporary American cuisine. The kitchen will have a wood-fired grill and rotisserie. 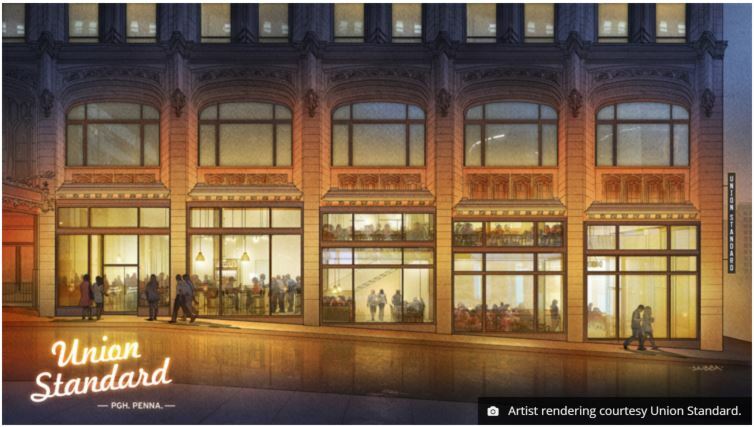 The ground floor will house a large bar along with a well-stocked raw bar and the mezzanine level will offer a quieter dining area and private dining spaces. The restaurant is slated for opening in early 2017. 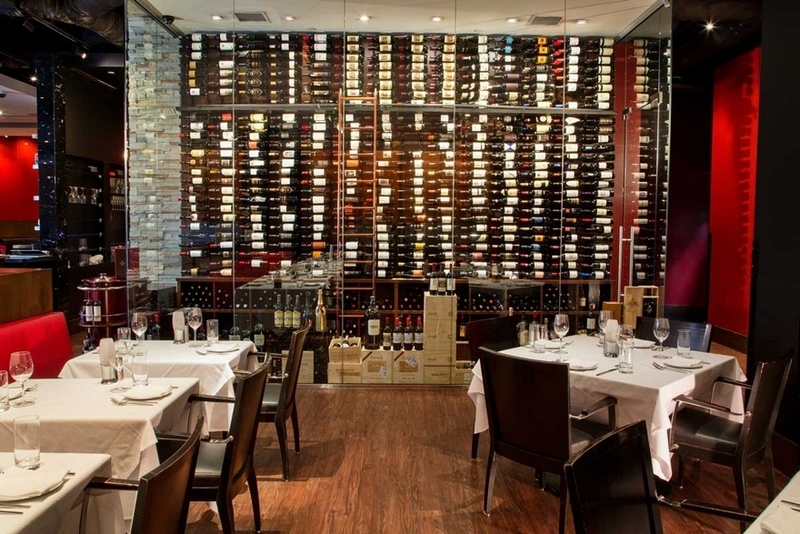 Red, The Steakhouse, selected A. Martini & Co. as their general contractor for their 9,200sf space at street level in U.S. Steel Tower on Grant Street, downtown Pittsburgh. The new Pittsburgh restaurant, the latest phase of a major expansion of the Red, The Steakhouse brand, features an expansive outdoor patio area and will be the only white tablecloth restaurant in the 2.5M square foot office building. The designer is Fukui Architects and the project is slated to begin in early September. 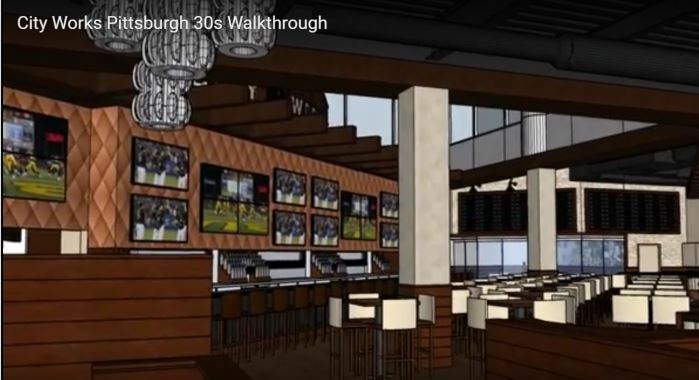 Although renderings of designs for Red The Steakhouse Pittsburgh are still in the works, operators project decor and design comparable to that of the restaurant’s other locations in Northeast Ohio and Miami Beach, Florida.